The actual cake recipe starts out with farm fresh eggs, real butter, fresh cream cheese and powdered sugar. You will think we did that too as this flavor tingles your taste buds. Get all of the flavor with none of the fat or calories. Indulge! I've procrastinated long enough. Now, after at least 300ml of GBC I can tell you it is the BEST ADV I have ever had. I've been vaping this one juice for literally months and it is always awesome. No steeping needed it is perfect right out of the mail. If you like desert vapes, you will not be disappointed with Gooey Butter Cake. I'd give it more stars if I could. I'm not sure how to describe this. Warm. Buttery. Distinct. It reminds me of a nice, creamy rum drink almost. Definitely not too sweet, but nice and thick with a satisfying, dense vapor. Another winner from my favorite vendor!!! Thank you AltCig!!! received our first order from altcig today and i have to say that gooey butter cake may just be the best liquid we've ever tried, from anywhere. gonna check the scales tomorrow because i'll be surprised if i didn't gain a pound or two. gonna order a bigger bottle now so i don't run out. I was born and raised in St.Louis Mo where the gooey butter cake was born, and was very excited to receive this flavor. It smells very good when you open the bottle, but the flavor seems very 'subdued'. Do you need to steep it for awhile? Here's looking forward to a great vape with this. Well, this is delicious. Good throat hit and vapor production as well. Really impressed. It's really tasty. For the longest time I vaped Gooey Better cake from another company and I have to tell you - This version is really good if not better!! Not only that but quick shipping and free samples of other juice was included. I'll be coming back for more. Excellent juice and service THANKS!! Wow. I ordered this in Tuesday and I received it on Thursday. That's great customer service. This flavor is awesome, I can taste the cake, the butter and everything inbetween. I can already tell this is going to be my goto desert vape. Ive tried 3 juices from altcig and they were all very good, but the gooey butter cake is just amazing. Im in Texas and ordered friday and receieved the order monday. This is the fastest shipping vendor that Ive ever had. Just got my first order. 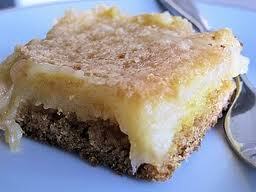 Trying the Gooey Butter Cake now. It's pretty good and should be fabulous after I let it steep a bit! More than the product I just appreciate being treated as a valued customer. The extra samples were lovely and the hand written little note at the bottom of my receipt cemented that they care if I come back! Who does that anymore lol? It's an awesome throwback to how buyers/sellers used to be. Great prices and product, friendly sellers, free samples and little personalized touches....why shop anywhere else? Thanks AltCig! So good. So so so good. It's a staple. I read the reviews, I rolled the dice and so glad I did. This and sugar cookie are altcigs tops that I have had so far. This blows any pound cake or cake flavor out of the water. I need to be alone to vape this Gooey goodness, it's that good! The room smells yummy and everyone wants some of it but they can't have it! lol I will be ordering more. This tastes exactly like the butter cake I used to get every year on my birthday. Delicious right out of the mailbox. Gooey Butter Cake is my favorite all day vape ever. I love sweet vapes, and this one satisfies tremendously. The buttery undertones will keep you coming back for more. Thanks Sunni, Bob and Hans. I am so glad I found you-Customer for life! Good good good gooey goodness! Nice buttery stuff goin on here! This is indeed a very sweet juice. I have tried this flavor from a few different vendors and this is one of the best out there. The sweetness of it might not make it an all day vape for me; but it's really darn good and satisfies my sweet tooth immediately. A must try. Cleanest and best Gooey Butter Cake I've had so far!!! This is a very clean gooey butter cake juice. Very buttery and nice and sweet, it's a very enjoyable vape!! A very good representation of the real thing, though not as sweet. But that is a good thing. I can enjoy this through the day, but generally reserve it for a nice treat. I can't say enough good things about this lovely juice. Another AltCig hit! This is a really smooth vape. Unlike some other butter cakes I've tried this is not overpowering. It has a good blend of flavors and a soft th hit. I'd definitely recommend this vape. I like this juice a lot. Easy vape. Tastes very vanilla. Most juices with butter in the title taste funky to me. This one is not overly sweet, and a big winner. The absolute best e juice I've ever tried! Also the best company with the fastest shipping!!! Thank you for the much appreciated and needed gift!!! !